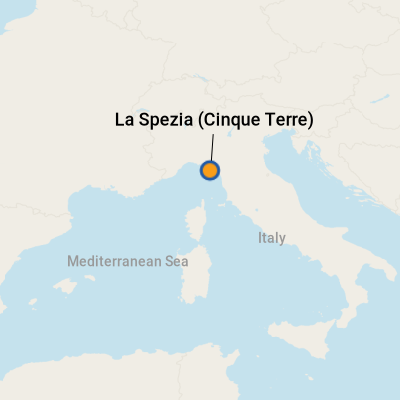 La Spezia, Italy, lies southeast of Genoa on the Ligurian Sea's Riviera di Levante (Coast of the Rising Sun). Developed as a port even before Roman times, the original fishing village became a trading center for produce from around the world and, in particular, spices (hence, the name La Spezia, meaning spice). During the 13th century, the first set of fortress walls was built, only to be followed by a second defensive ring in the 1600s. Today, the city is Italy's main naval base, as well as a cruise port. In town, visitors can see remnants of the old city walls and discover the port's history at the Naval Museum. The Amedeo Lia Museum displays a private collection of paintings by Italian masters in a former convent. Archeological finds may be seen in the imposing Castle of San Giorgio; getting to the ancient watch tower by funicular is half the fun. The currency in Italy is the euro, and ATMs are located throughout the city. Italian, but English is understood in tourist areas. 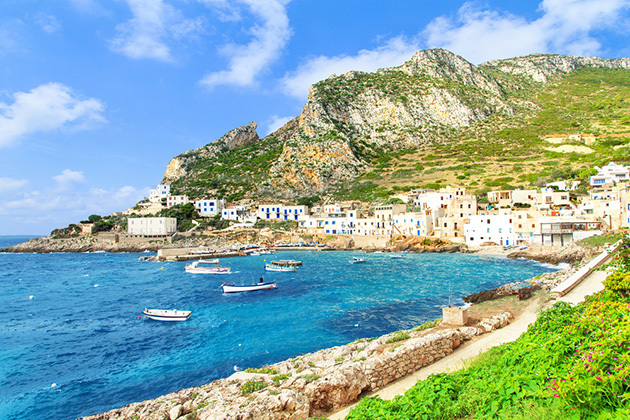 Travel tips for making the most of an Italian Island cruise.